From the historic Alamo to the Tower of the Americas and everything in between, San Antonio is the oldest city in Texas and a wealth of attractions for visitors. Turn your groups’ visit to San Antonio into a team building experience to remember. 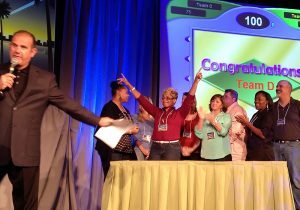 Best Corporate Events can curate the perfect San Antonio team building activity for your group. San Antonio is the seventh most populous city in the United States. It's also the second most populous city in Texas. 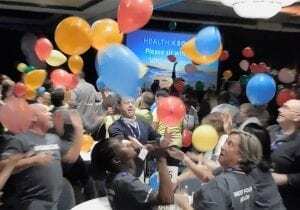 They say everything's bigger in Texas and at Best Corporate Events, bigger is better when it comes to team building activities! We specialize in large groups from 1,000 to over 6,000 people. 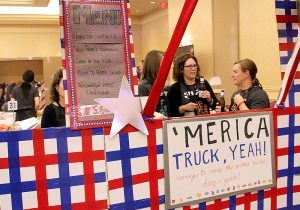 Your team will love to take part in a culinary battle with the popular Food Truck Face-Off. Or feel the excitement with a charitable program like Build-a-Wheelchair® or a SmartHunt®. 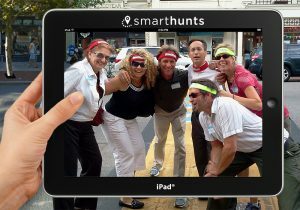 We'll provide the iPads® and you choose the location for your team to explore. Your team can explore all San Antonio has to offer, the great music on the River Walk, signature San Antonio’s dishes, a visit to the Alamo or the National Historic Park. 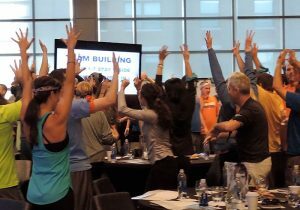 With more than 50 meticulously designed programs from which to choose, our facilitators can give your team the tools and experiences they need to forge deep and meaningful bonds. Enjoy the outdoors with a Go-Kart Competition, Bike or Raft Build or experience our Bridge to the Future™ event. Give back with a charity-driven event that benefits local charities, therefore learning why giving back is so fulfilling. 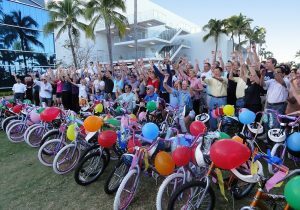 Read about giving back in one of our latest blogs, WHAT INSPIRES YOU TO GIVEBACK?. We pride ourselves on building successful and innovative group programs. 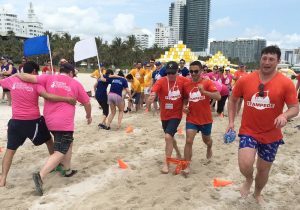 Whether you are looking for unique activities to build your teams spirits here are a selection of our most popular group programs of choice. One of our most notable San Antonio programs has been a Go-Kart Competition for 170 people at the La Cantera Resort. Best Corporate Events has received over 1,000 client comments from corporate groups in San Antonio and across the country. We have a 5-star rating and you can find all our comments, videos and reviews on the program pages of our website to assure you that you're getting the very BEST company to deliver events to your group.